When searching the merchant service provider you can lean on for once and all, it’s obvious to feel confused and annoyed. Accepting credit cards is a dream but who to trust is the factor that keeps you away from beginning with the pleasure. During all the brainstorming, have you ever thought that may be you don’t know from where to start actually? A lot many things are involved in merchant services other than just card processing. Thus, it is wise to think about the choice as a connection that grows healthy with the business and is more than just an agreement. Be it processing of credit card transactions or providing the needed support, payment processor is always at your service. Having the best merchant account is undeniably important for every business be it a retail store, a restaurant or an Ecommerce firm. Recognizing what merchant services are compatible with the business helps big time to find the right merchant acquirer for the particular business. When you are all set to make your dream of processing credit card transactions true, you got to think, ‘which cards to accept?’ Now here, what’s important to know is that the more types of cards you process, the more business you do. Adding Visa, American Express, Discover and MasterCard to the payment card acceptance feature, you process cards preferred by majority of the customers. This way, you make them feel valued. Partnering with a well-established and reputable payment processor benefits the business in unlimited ways. The merchant account providers being highly professional take out enough time to understand the business, its purpose, target audience and expectations to offer the most appropriate payment solutions that optimize the business operations. Apart from providing innovative options, they are equally careful towards offering practical services, such as mobile payments acceptance, EMV chip card enabled technology, omnichannel abilities, fruitful customer support, protection against frauds and reporting. Together, all the features boost the speed & enhance the security level of the card transactions. Whether a restaurant is small or large, it requires quick as well as convenient payments to fulfill patrons’ expectations. By transferring the tabs, smoothly paying the checks and adding tips, restaurant merchant account is able to create a resourceful payment process. When payments are simplified, employees are required to spend less time on ringing & settling tabs. As a result, they get more time to offer quality as well as friendly customer service. One of the most crucial payment security technologies for this business is tokenization, which protects card details of the customers during tip adjustment. Tokenization swaps card details of a customer with a series of numbers and characters, called as token. Hiding the real card data, token is possible to be deciphered exclusively by the issuing bank during authorization. This safeguards the data and brings down risk of exposing customer’s details. Processing credit and debit cards that have EMV chip technology is mandatory for the chief credit cards and card-issuing banks. Thankfully, a number of EMV-enabled terminals are available for retail businesses these days. With EMV chip technology, data security of card increases, as creating counterfeit cards turns impossible. Because cardholder’s authentication with PIN or signature regarding verification of card is necessary to use the card, chances of frauds are put to rest. One more trait of best credit card processing is that it streamlines back-house operations, which then saves time as well as money. 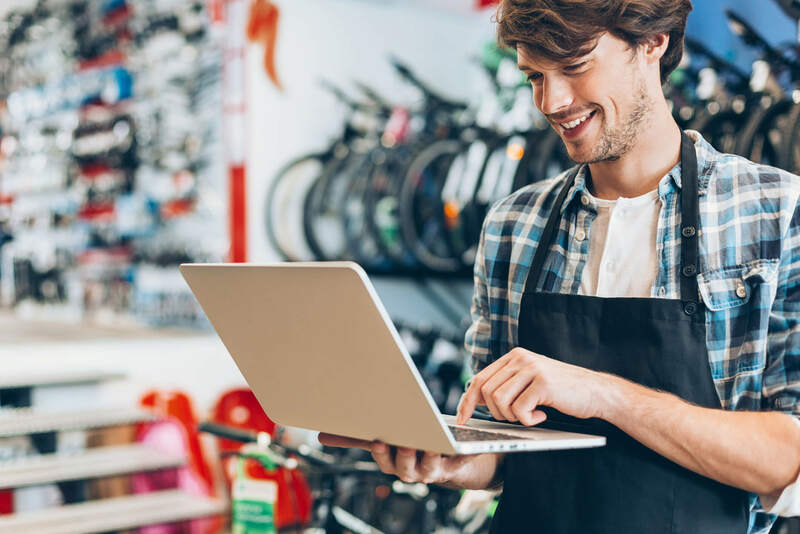 With retail-specific payment solution, routine practices such as scheduling and inventory management get easy and allow the business to focus on other important areas. Offering secure and easy online shopping to the customers helps the business expand its reach. Merchant provider expert in Ecommerce ensures that the online business accepts all the major credit cards besides processing the well-known payment types. Though it is important to make the business accessible from every corner of the world, it is equally important to pay attention to the benefits possible through dependable support and actionable intelligence from a merchant service provider who stands by the business. Standard merchant services play an unbeatable role in assisting the business to grow and control its costs. Payment processors who have their own technologies allow the business to enjoy cost savings and reduce any sort of hassle & hindrance.